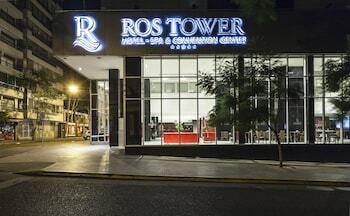 With a stay at Ros Tower Hotel, you'll be centrally located in Rosario, a 4-minute drive from Plaza 25 de Mayo and 6 minutes from National Flag Memorial. Featured amenities include a 24-hour business center, complimentary newspapers in the lobby, and dry cleaning/laundry services. Planning an event in Rosario? This hotel has 15715 square feet (1460 square meters) of space consisting of a conference center and meeting rooms. A roundtrip airport shuttle is provided for a surcharge (available 24 hours), and free valet parking is available onsite. Located in Puerto Iguazú, Kerana Oga is a 2-minute drive from Hummingbird Garden and 5 minutes from Punto Iguazu Shopping Mall. Free self parking is available onsite.